As a clan chief, you are mandated to save Midgard from complete destruction, and mastermind the charge to vanquish the fiendish creatures of the Fimbulwinter. 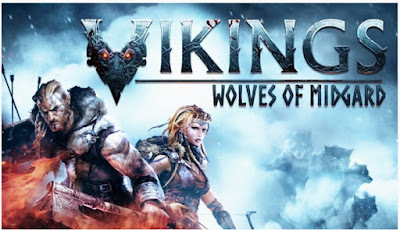 The Action RPG Vikings – Wolves of Midgard gameplay takes you to the Shores of the city, a world based upon the mythology and history of the Vikings, but with a fantasy twist. Battle the fearsome Jotan, hordes of terrifying undead monstrosities and the beasts of Ragnarok, as you strive to survive the growing cold that threatens to end all life, forever. Master mighty weapons, including sword and shield, two-handed hammers, dual-wielded axes and swift bows.